Baker's Law predicts uniparental reproduction will facilitate colonization success in novel habitats. While evidence supports this prediction among colonizing plants and animals, few studies have investigated shifts in reproductive mode in haplo-diplontic species in which both prolonged haploid and diploid stages separate meiosis and fertilization in time and space. Due to this separation, asexual reproduction can yield the dominance of one of the ploidy stages in colonizing populations. We tested for shifts in ploidy and reproductive mode across native and introduced populations of the red seaweed Gracilaria vermiculophylla. Native populations in the northwest Pacific Ocean were nearly always attached by holdfasts to hard substrata and, as is characteristic of the genus, haploid–diploid ratios were slightly diploid-biased. In contrast, along North American and European coastlines, introduced populations nearly always floated atop soft-sediment mudflats and were overwhelmingly dominated by diploid thalli without holdfasts. Introduced populations exhibited population genetic signals consistent with extensive vegetative fragmentation, while native populations did not. Thus, the ecological shift from attached to unattached thalli, ostensibly necessitated by the invasion of soft-sediment habitats, correlated with shifts from sexual to asexual reproduction and slight to strong diploid bias. We extend Baker's Law by predicting other colonizing haplo-diplontic species will show similar increases in asexuality that correlate with the dominance of one ploidy stage. 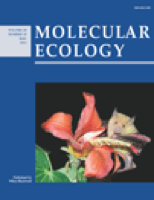 Labile mating systems likely facilitate colonization success and subsequent range expansion, but for haplo-diplontic species, the long-term eco-evolutionary impacts will depend on which ploidy stage is lost and the degree to which asexual reproduction is canalized.